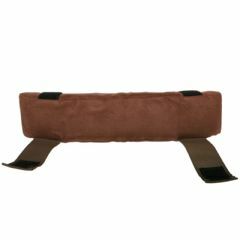 The Car Seat Belt Cushion goes over the seat belt and provides extra padding on the upper or lower seat belt of your car. It is an excellent solution for those who would benefit with extra cushioning on their seat belts including pregnant women, post abdominal surgery patients, and long-hour drivers. This innovative product helps protect your abdomen from rough contact of seat belt material. Get your Car Seat Belt Cover today at Allegro Medical. It fits my car well, it supports my abdomen well. Nothing more can be expected from this simple cushion product. Really easy to put and use every day. I love this seat belt cushion. We have tried several and I dont know if its the kind of foam you guys use but this one is awesome. My wife, who is pregnant, will not get in the car without it. Thanks again!